Across the street from Landmark restaurant. Just past Hometown bank. Our office will help the people of the Bedford County area manage the risks of everyday life, recover from the unexpected, and realize their dreams. Our team will provide a remarkable experience to every customer and help them with all their insurance needs including auto insurance, home insurance and life insurance. 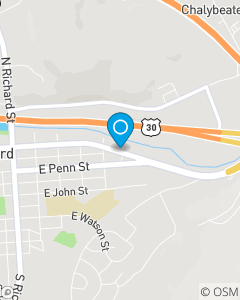 Located right in Bedford PA we are here to help our community, because we are part of the community!